I am a real "Fudge" lover. I love anything to do with fudge and this one is no exception. 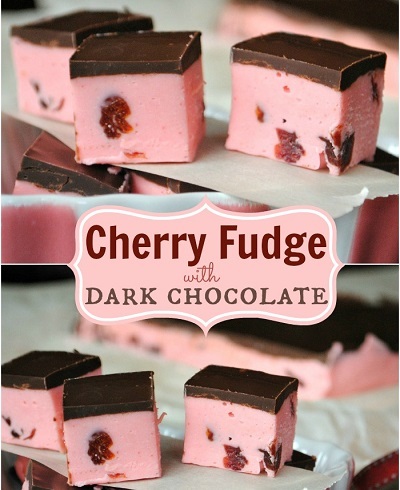 I really like how easy this Cherry Fudge with Dark Chocolate is. Give this recipe a try and I am sure you will not be disappointed. Easy and delicious, this will soon become an all time favorite anytime treat.